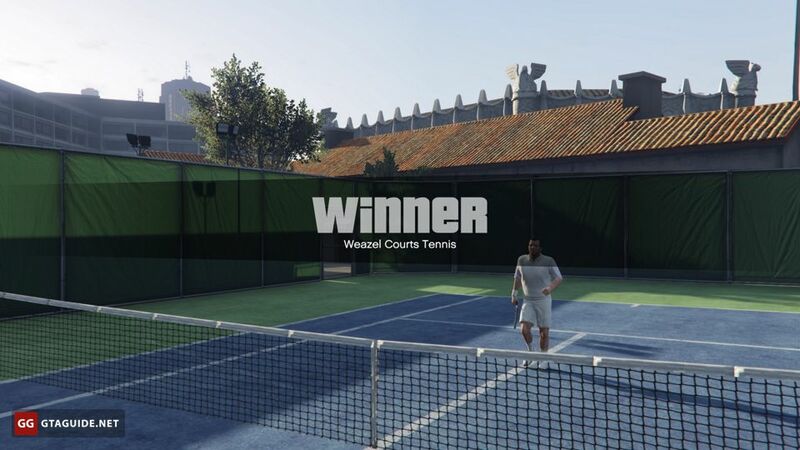 Tennis in GTA V is available after the story mission “Complications” because only after it Michael becomes a playable character. 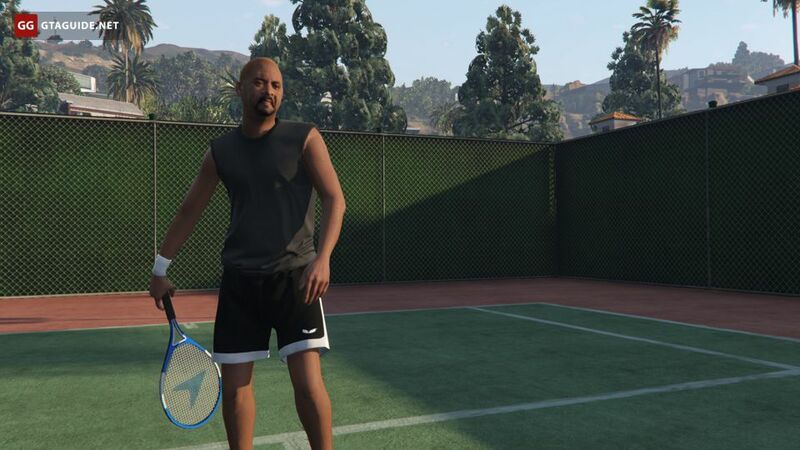 Trevor can also play tennis, but Franklin can’t. 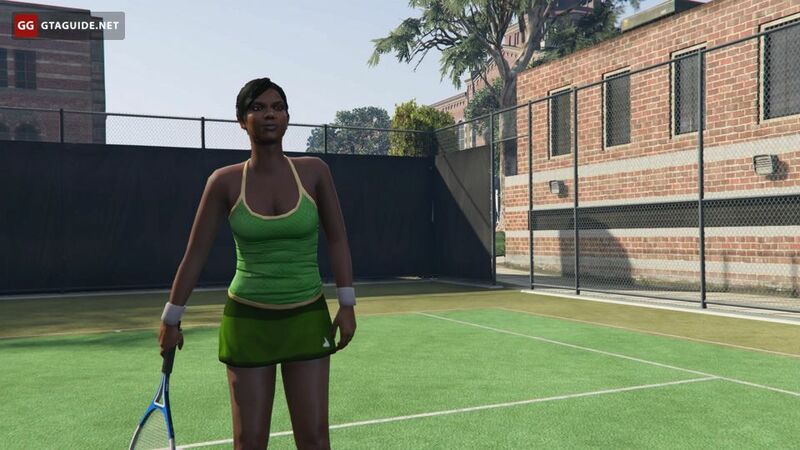 Michael and Trevor can play with each other, with some of their friends or with random opponents: Donato, Norman, and Rae. 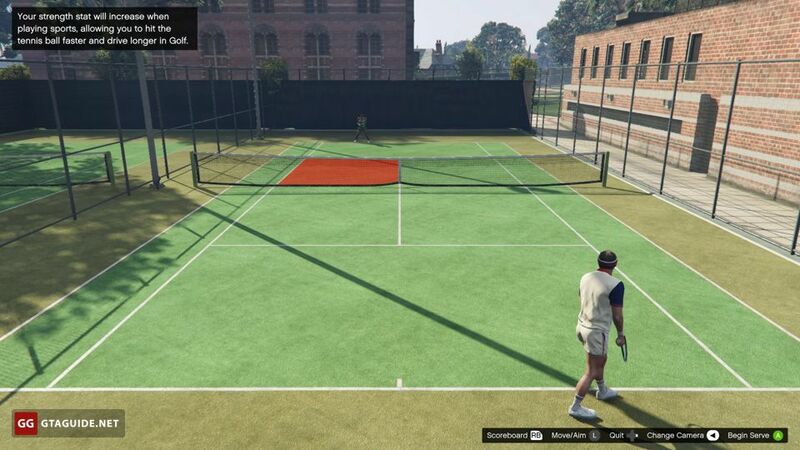 All tennis courts in San Andreas are marked with a pictogram of a tennis ball with a racket. 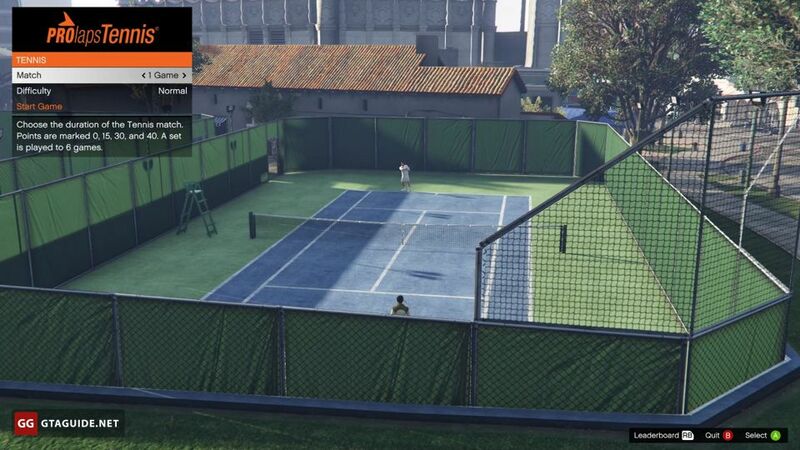 Unlike golf, tennis can be played at any time of the day. Rewards for winning a game: $14 for a low difficulty, $25 for an average difficulty and $36 for a high one. The duration of the match does not affect the amount of the win. 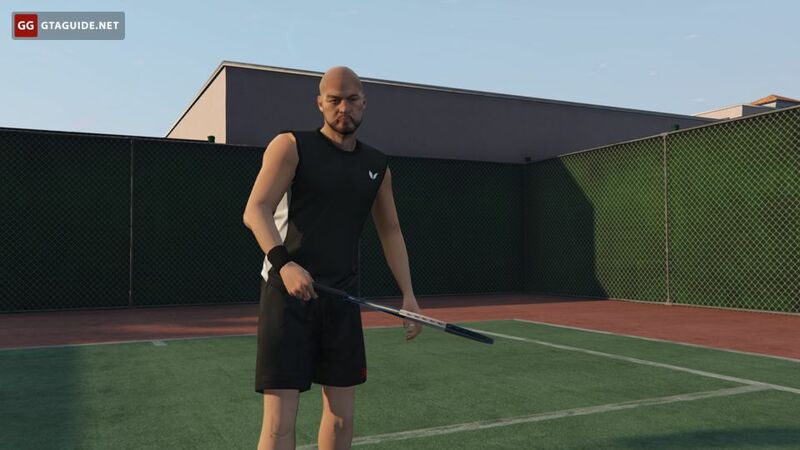 In addition, playing tennis increases the strength of the characters. The stronger the protagonist, the better he plays. 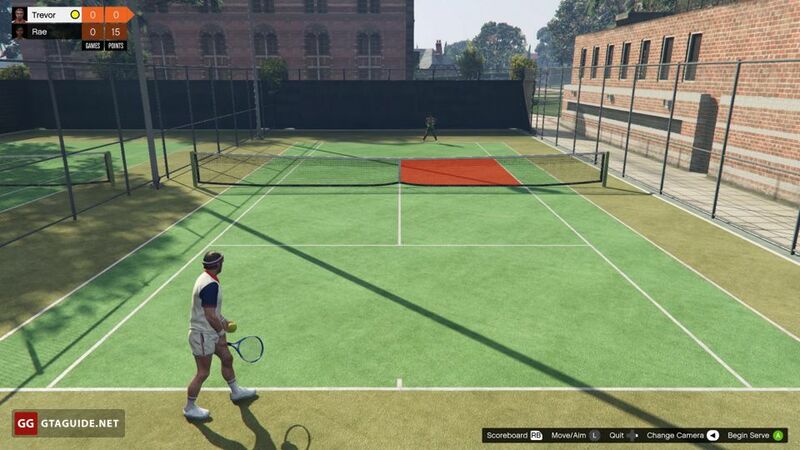 You need to win at least one game to achieve 100% completion in GTA V.
Before the serve, you can move in your box near the back line. When the position is chosen, you need to serve the ball. 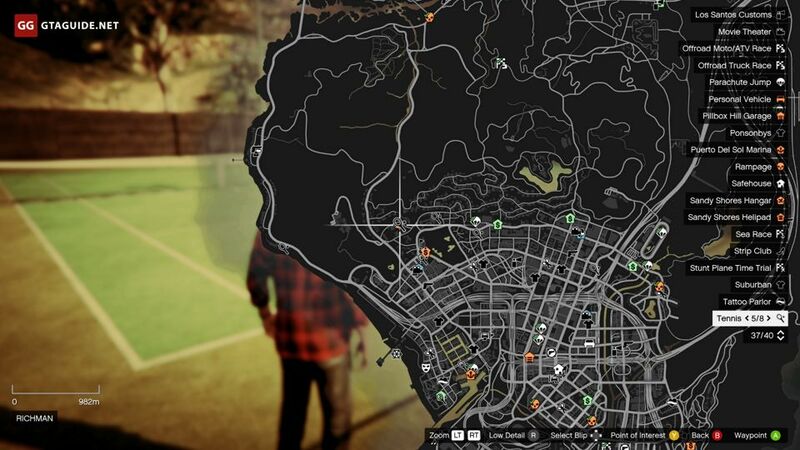 To do this, press “A” on Xbox, “Cross” on PlayStation or LMB on PC. A strip will appear on the screen, along which the marker will start to rise. Press “A”, “Cross” or LMB again when you see fit. The closer the marker to the top point, the stronger the strike. You can also correct the flight direction of the ball by turning the left stick to the right or left, or by moving the mouse to the right or to the left. It’s important to not overdo it because there is a chance to miss the service box. Risk only makes sense if you are playing at a low level of difficulty because an ace is unlikely at medium or high difficulty. Base swing — a base strike without rotating the ball and with an average flight distance. It indicated by a white marker. To do it, press “A”, “Cross” or LMB. Topspin — a strong strike from the bottom up. The ball rotates in the direction of the strike, falls on the court early, bounces low. It indicated by a red marker. To do it, press “B”, “Circle” or RMB. Backspin — opposite to topspin. The ball flies low and far, significantly bounces off the court. It indicated by a yellow marker. To do it, press “X”, “Square” or Space. Lob shot or drop shot — a strike that adjusts to the opponent’s position. If it is close to the grid, a candle will be performed — it’s a high strike guiding the ball to the back line. In the reverse situation, a shortened blow will be executed — the ball hits the court just behind the net. It indicated by a white marker. To do it, press “Y”, “Triangle” or Left Shift. Make strikes that way to force the opponent to run as far as possible. For example, if the opponent is near the net on the left side, send the ball to the back line on the right side. It will give a good chance that the opponent will not reach the ball in time. Aces, as already mentioned, may be performed mainly on easy difficulty. With a medium or high difficulty, they will be rare. 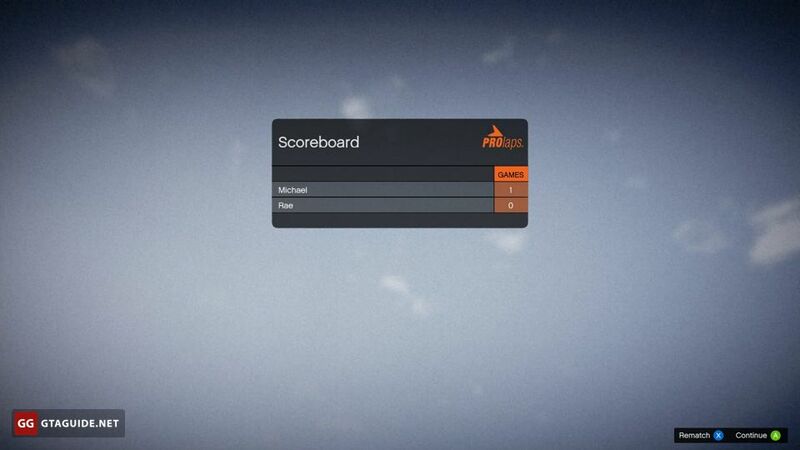 During the game, the in-game clock stops.